Lakewood and the Denver Metro Area's first choice carpet and upholstery cleaning company. Whether its up north in Broomfield, out west in Arvada, down south in Parker or east towards Aurora, All-Ways Cleaning & Restoration of Denver (previously All-Ways Carpet and Upholstery Care) will travel "all ways" to make sure every stain, smell, and eye sore in your carpets and couches are a thing of the past. Lets face it, there's some things your Sear's vacuum just can't fix, and that black hole in your carpet is one of them. We've got 15+ years of experience and state of the art carpet cleaning machines as well as a great reputation in Colorado to bring you the best carpet and upholstery service. Did I mention we're the best?? 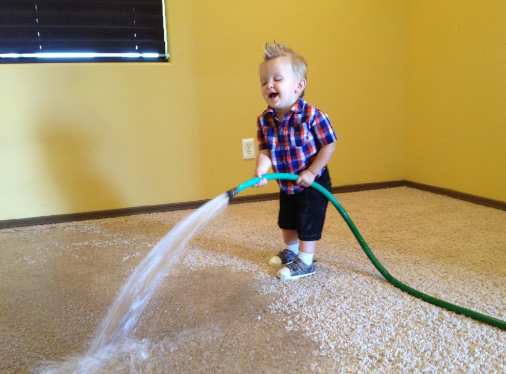 Our carpet cleaning prices are just as unmatched in Lakewood, CO as our services! With the right carpet cleaning machines and solutions we will turn your carpet problem into a bright spot of your home! Our company prides ourselves on great customer service, we take to heart each and every customer and pay it back by delivering a second to none cleaning with a great attitude and attention to detail. • Truck Mounted Extractions - the truck mount has advantages of its own like faster cleaning and trying times as well as stronger powered vacuum and ability to heat the water. This type of machine is important when ridding the carpet or rug of pet stains, pet odors, bacteria, dirt, and residue from cigarette smoke. Get your furniture back to new! If it has been over a year since you have gotten your upholstery or sofas cleaned then make sure you give All-Ways a call. Now you can't drink the stain away, but you can dissolve it! Denver's top carpet cleaner and stain remover can get that stain out so well you will forget it was ever there! Our rug cleaning services are widely recommended across the entire Denver Metro area. No need to go and replace that rug when you can get it cleaned! We all love our pets, even when they stink. But when you give them a bath you can still smell them in your carpets and couches. All-Ways Carpet Cleaning and Upholstery Care is that breathe of fresh air you and you pet can rely on. Literally! 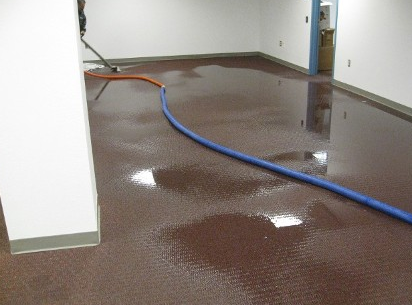 We also provide immediate emergency flood and water extraction. In Colorado it could be anything from too much rain to a busted pipe because it's so cold. We have an experienced carpet restoration process to get your carpet cleaned up and minimize damages. Kitchen tile cleaning, bathroom tile cleaning, shower tile cleaning, you name it, we clean it! Our specialized products get all the gunk and sticky mess off the stone surface and clean all grout lines in between as well! ​Breathe refreshingly in your own home after getting an air duct cleaning with the air duct cleaning pros. Don't let dirt, mildew and debris buildup in your vents. ​What is green cleaning you ask. Well we understand in this day and age we must improve in quality and efficiency with also trying to create a healthier environment for the people we serve and the world we live in. All-Ways Carpet and Upholstery Care has done that with Green Cleaning! Green Cleaning is a method that our carpet professionals do that involves using cleaning products with environmental friendly ingredients like baking soda, lemons and vinegar. We avoid using phosphate, artificial colors and fragrances as well as chlorine. These methods and procedures taken are to preserve and ensure human health and environmental up keeping. Call us today at 720-352-1269 to learn more and ask about Lakewood, Colorado's best green cleaning service and get a free estimate! Well, what are you waiting for? If you read this far then you should have no doubt we are Denver's top carpet and upholstery cleaner! Lakewood's very own carpet cleaning pros will "all-ways" be there no matter what your location. Our cleaning company is located in lakewood but will go to you no matter how far the distance. Service locations include Denver, Colorado Springs, Aurora, Lakewood, Littleton, Centennial, Broomfield, Castlerock, Arvada, Parker, and Thornton. We appreciate each customer and want to give back by serving as many as we can in the Denver Metro region. If you are farther give us a call anyway and we may still be able to schedule a same day cleaning!